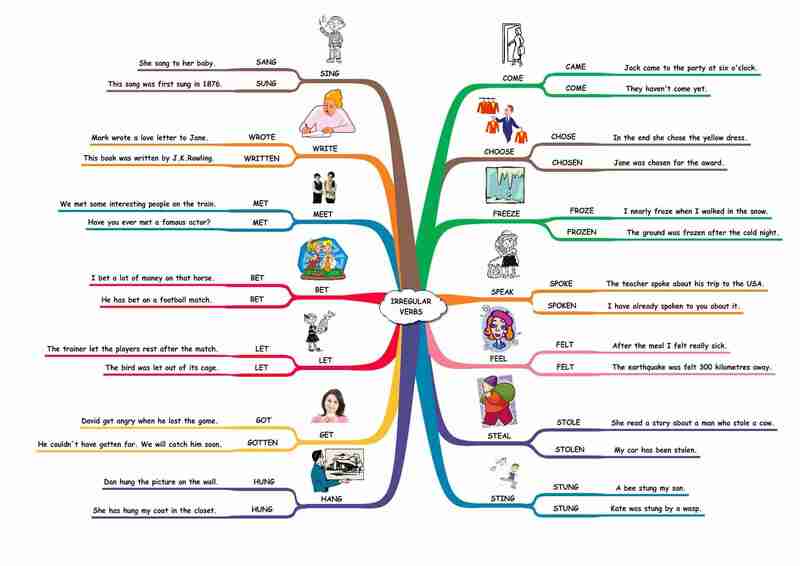 In my opinion, irregular verbs are the most important thing one has to learn in English. Therefore, it is absolutely essential that students know them. However, teaching them is not easy. There are no rules, and the number of new words that students manage to commit to memory is quite low. Thus the teaching materials have to be interesting enough that students would return to them. In this post we are going to deal with the verbs mentioned in the second verse of the song. Below you will find an infographic, an online quiz and a game to help your students learn the irregular verbs. Display the following infographic and go through the words with them. Use the pictures to explain the meaning or ask your students to use their dictionaries. First start with the online quiz. The quiz is in HTML5 so it will play on mobile devices too. In the first part, you should drag the words to the correct spaces. If you pass, you will be rewarded with a game called Angry Farmer. In the second part, you have to look at the picture and complete the sentence. Use the past tense of a verb that best fits the sentence. The second game is called Fling the Teacher. To win the game, you have to answer all the questions by choosing the correct forms of the given verb. If you answer all the questions correctlz you will fling your teacher. (But I am sure, that he/she will not mind as long as you know all the irregular verbs 🙂 ). The game is in Flash and it will only play on desktop computers.